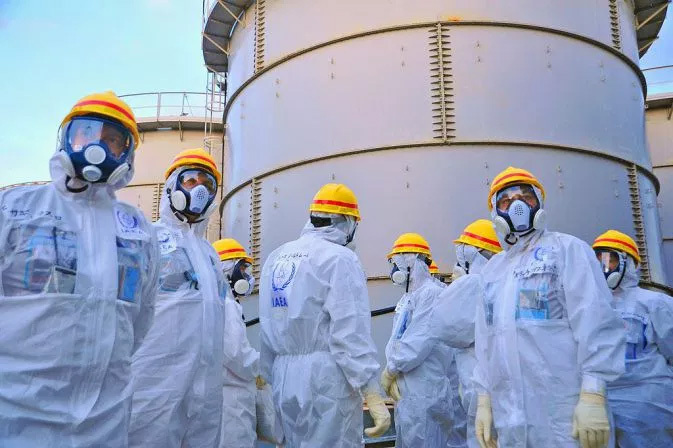 Scientists using a new method of detecting radioactive particles have warned that there was a significant release during the Fukushima nuclear accident that could pose a risk to humans. The method allows scientists to quickly count the number of cesium-rich micro-particles in Fukushima soils and quantify the amount of radioactivity associated with these particles. The research, which was carried out by scientists from Kyushu University, Japan, and the University of Manchester, contradicts initial [government and industry] findings in the immediate aftermath of the 2011 Fukushima meltdowns. It was thought that only volatile, gaseous radionuclides, such as cesium and iodine, were released from the damaged reactors. [*See Nukewatch’s related article Fukushima’s “Hot Particles” Travelled Extreme Distances.] However, it has become apparent that small radioactive particles, termed cesium-rich micro-particles, were also released. Scientists have shown that these particles … contain significant amounts of radioactive cesium as well as smaller amounts of other radioisotopes, such as uranium and technetium. The abundance of these micro-particles in Japanese soils and sediments, and their environmental impact, is poorly understood. But the particles are very small and do not dissolve easily, meaning they could pose long-term health risks to humans if inhaled. 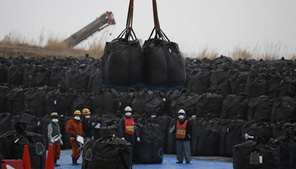 At present scientists don’t know how many of the micro-particles are present in Fukushima. The new method makes use of a technique called autoradiography, which uses an imaging plate placed over contaminated soil samples…. The radioactive decay from the soil is recorded on the plate as an image, which is then read onto a computer. The scientists say radioactive decay from the cesium-rich micro-particles can be differentiated from other forms of cesium contamination in the soil. The scientists tested the new method on rice-paddy soil samples retrieved from different locations within the Fukushima prefecture. The samples were taken close to and far away from the damaged nuclear reactors, at four kilometers and 40 kilometers. The new method found cesium-rich micro-particles in all of the samples and showed that the amount of cesium associated with the micro-particles in the soil was much larger than expected. “We hope that our method will allow scientists to quickly measure the abundance of cesium-rich micro-particles at other locations and estimate the amount of cesium radioactivity associated with the particles….” Utsunomiya said. In March 2018, a Greenpeace survey found that even seven years after the catastrophic disaster, the people, towns and villages in the surrounding area are still being exposed to excessive levels of radiation. Black star shows tracks of alpha particles in an ape’s lung much like ours. Breathable hot particles of cesium, which emit alpha and gamma radiation, were spread long distances by Fukushima, Japan’s triple reactor meltdowns in 2011. Photo by Robert Del Tredici. Contrary to reports that only gaseous radioactive materials were released by the triple-reactor Fukushima meltdowns in Japan in 2011, scientists reported early on that highly radioactive “hot particles” were released and carried long distances by wind. “Cesium found 375 miles from Japanese plant,” read the headline in the Japanese daily paper Yomiuri Shimbun — and reprinted in dozens of US papers March 17 and 18, 2012. The report noted that radioactive cesium-137 was found in plankton 375 miles east of the destroyed Fukushima reactors. Researchers at the University of Tokyo’s Atmosphere and Ocean Research Institute warned that “the radioactive cesium is likely to have accumulated in fish that eat plankton.” The cesium then bio-accumulates and bio-concentrates as the fish continue to consume bad plankton, and as bigger fish (tuna, cod, haddock, pollock, carp) eat smaller contaminated fish. As nuclear power reactors age, the chances for catastrophic accidents increase because the equipment wears out. Most in the US have reached or exceeded their 40-year licenses. Utility Dive reports that President Trump has directed Energy Secretary Rick Perry to stop the closure of coal and nuclear generators, pushed offline by cheaper electricity from natural gas and renewables. The order came the same day Trump directed secretary Perry to consider using the Federal Power Act and the Defense Production Act to bail out dirty, bankrupt nuclear reactors and coal power plants that can’t compete any longer with wind, solar, natural gas or efficiency programs. The possibility of extraordinary federal intervention—made possible by laws enacted for use during national emergencies like wars, hurricanes or floods—was called “legally indefensible” by the diverse group of experts. A statement issued the same day by a broad coalition of industry, consumer and environmental groups including oil, gas, efficiency, solar and wind representatives condemned Trump’s announced bailout as unnecessary, counterproductive and harmful to ratepayers. —New York Times; American Petroleum Institute media advisory; and UtilityDive.com, all on June 1, 2018.